I'm really pleased to announce that on Thursday 11th September 11 at 1:00 pm Central Daylight Time, 7.00pm British Summer Time (Summer???!!! ), I'll be presenting on 'Digital HR' with Knowledge Infusion's CEO, Jason Averbook. In this one-hour online event, we will discuss the transformation taking place in HR, and the importance of HR leaders taking charge and leading this revolution. Please join us to understand how workforce-facing initiatives that HR has been focusing on for the past 10 years--including employee and manager self-service, intranets, portals, and reporting--can be combined with today's consumer-based technologies such as wikis, blogs, social networking, and other Web 2.0 technologies to create a holistic approach to push, pull, interact, and collaborate with the workforce of today. 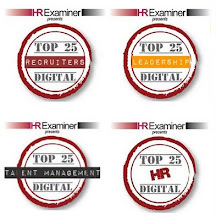 Why HR should emerge as the leader of your organization’s Digital HR and technology strategy. You'll leave this event with a clear understanding of what Digital HR is, and the next steps your organization can take to be prepared for this evolution. Please register to join us by booking here. Sorry for the break in transmission. We're back. 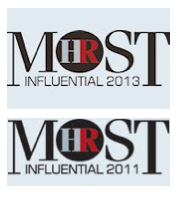 And I'd like to thank Kris Dunn and the team at Fistful of Talent for putting together their list of the best talent management blogs and particularly for including Strategic HCM within it. And for the methodology behind the list: http://www.fistfuloftalent.com/2008/08/methodology---t.html. I attended another Human Capital Institute webinar on Thursday, outlining their joint research with IBM's Institute for Business Value into six key practices of talent management: strategy development, attracting and retaining, motivating and developing, deploying and managing, connecting and enabling, and transforming and sustaining. "Companies with high scores across the board were more likely to have strong financial performance, based on reported change in operating profits between 2003 and 2006. 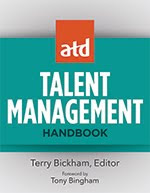 'It's not the first research to show a correlation between talent management and financial results,' admits Allan Schweyer, executive director of HCI and one of the authors of the report, 'but it's one in a handful, and I think it really adds to that body of evidence that is helping organizations to build a solid business case for investments in talent management'." I'd agree. In fact the correlation with financial performance wasn't what I found to be the most interesting aspect of the research. What interested me was the range of performance across size of organisation and particularly across sector in these different aspects of talent management, from professional services and technology firms with relatively well developed processes to financial services which tends to focus on body shopping ("focusing on attraction and retention with little attention paid to employee development, deployment or collaboration") and onto government and education with little to show for themselves in any areas of talent management. If these organisations are waiting for better evidence linking talent management and organisational results before they do anything, they're going to miss out on some pretty major opportunities for improving their performance while they wait! UAE HR: the definitive guide? I met with Aamir Rehman, author of Dubai & Co (which I have previously referred to) earlier this week. Aamir explained that his book is still being seen as the definitive guide to business to Dubai* (a status my HCM book hasn't quite managed to reach - although I still think it's a lot better than Beyond HR which is probably it's closest but much better selling equivalent). But he thinks that there is a clear gap in the market for a definitive book on UAE HR. Mmmm. I could be tempted - I'm spending a lot of time there now and I do think the HR agenda is very exciting. I think I'd need a local practitioner to write it with me though, and probably just an article (for a serious / quality publication) rather than a book. Anyone up for it? I'll be back in Dubai from 20th to 27th August so let me know if you want to catch up with me there (on the definitive guide, or anything else!). * = his publisher's comment, not his own! I just wanted to comment on article article on Management Issues. "It is a phrase loved by HR people, but even the most jargon-friendly managers struggle with the term "human capital" and have little idea what it means." So don't use it with them then! There is a difference between HR terminology that we need to use between ourselves, because otherwise we are unable to effectively discuss important and often intangible elements of people management, and unnecessary jargon that we sometime mistakenly use with managers and employees - even when these involve the same words / terms. 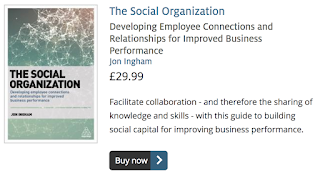 Human capital is the only term we have that refers to the full range of attributes provided by employees to an organisation that provide the basis for meeting current business objectives and generating new business opportunities. Our ability to manage people for the good of the organisation is compromised if we don't have access to this term. Does it help to use this term with managers and employees? Most often not, no. 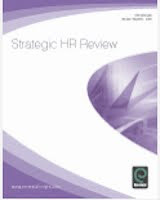 However, I also think there is something to be said for the argument that organisations which really want to gain competitive advantage through their people will want their managers to have a sophisticated understanding of people management, and not just the HR function. In this case, they will want their managers to understand the importance of human capital too. For my blog's anniversary, I asked whether there were subjects readers wanted me to post upon. One question was raised by Jo: How will we respond to the productivity challenge created by India and China? (thanks Jo). Today's marvelous opening ceremony at the Olympics certainly demonstrates China's capability and I think, their productivity very powerfully (I certainly can't see London matching it in 4 years time!). This is also something I've previously posted on and referred to in other fora, for example my Global HR trends and differences presentation on HR.com's VIEW last year. "Experience suggests that not having a well-articulated leadership strategy has led organisations to over-rely on buying leadership talent from the market rather than grooming from within. While many multinationals report that they get significant value and peace of mind from having expatriate talent in China, a more cost-effective and sustainable strategy over the long-term would be to focus on systematically grooming tomorrow’s leaders." I've also recently finished reading Will Hutton's latest book, The Writing on the Wall: China and the West in the 21st Century, after seeing him present on this recently. Hutton points out major problems in China's economic and political institutions and systems which convinces him that China's current rate of growth is unsustainable. In light of these problems, China isn't going to be able to reproduce mini-opening ceremonies in every business marketplace, but it's also important to recognise that its problems can be overcome. So how should 'we' (which I take to refer to HR practitioners, psychologists and the like living and working mainly in western economies) respond to these challenges? To me, the main thing, which I referred to in the recent Economist debate, is that we continue to develop the skills and other competencies to enable us to continue to pursue a 'high road' path to competitiveness. Strategic HCM anyone? I am quoted in an article on social networking published by the IOD's Director magazine, 'Social Workers'. "The potential for a more "democratic" organisational structure. Used constructively, he said, social media could help alter the shape of the organisation, from a tall hierarchy to a flat, fully-networked team of decision makers. Because the flow of information in an enterprise 2.0-powered company was more efficient, and because all employees with a vested interest could add their input, employees would begin to trade solely on their knowledge, not on their job titles. Hierarchy would effectively become irrelevant." "Very few companies are currently prioritising this sort of cultural change to anything like the extent that they're focusing on other people management challenges, such as recruiting and developing talent. Many are unconvinced and very suspicious. They're seeing it from a perspective that's 20 years out of date—from a command and control perspective, rather than one that I'd describe as human capital focused; that is, one in which they're truly focused on developing and liberating each person's human capital for the good of the organisation." This perspective is supported by Richard Dennison at BT who agrees that enterprise 2.0 is very much about "liberating human capital". The article also notes use of enterprise 2.0 systems at Microsoft, IBM, Sun Microsystems, SAP, Mastercard, John Lewis, O2, Pfizer, Lockheed Martin, UNICEF, BNP Paribas, Nokia and Cisco. "The hard part about collaboration is [that] we don't like change. Nor did my organisation and nor did I. I love command and control and I'm pretty good at it: 65,000 people; I say turn right, we turn right. I very rarely have to say it twice.' But, he added, command and control wasn't the future. 'The future is the ability of groups to think together, to combine knowledge and experience." It's a question of trust."